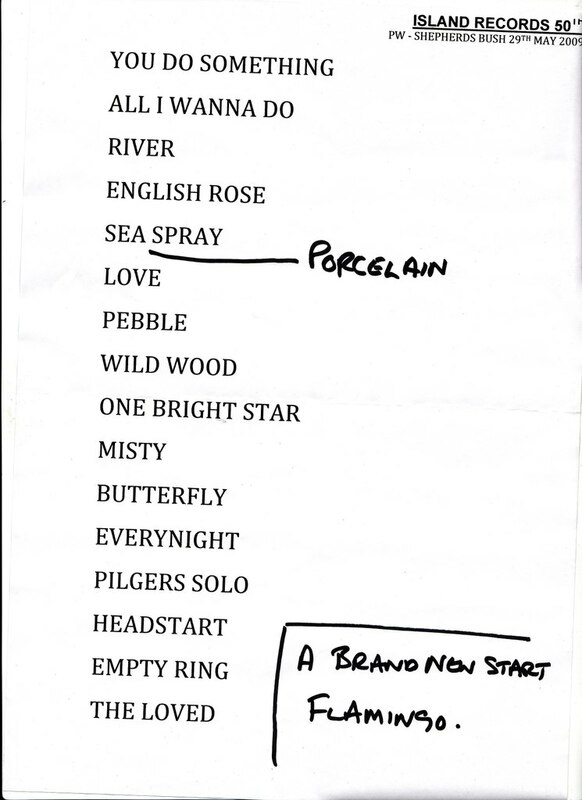 Paul Weller At Shepherds Bush For Island’s 50th – Set List! – Paul Weller News! Paul Weller At Shepherds Bush For Island’s 50th – Set List! 3 Comments on Paul Weller At Shepherds Bush For Island’s 50th – Set List! TA for posting that. I hope we get a bootleg of this show! Thanks for posting this. I hope we get a bootleg of this show. Previous Entry Paul Weller’s ‘Just A Dream’ Offered With Exclusive Print At Townsend Records! Next Entry Pics From Paul Weller’s Performance For Island’s 50th At Shepherds Bush!